Planning your cloud, hybrid, and on-premises integration needs? 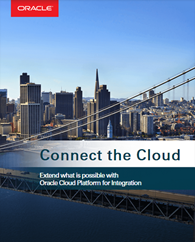 This free e-book will show you how the Oracle Cloud Platform for Integration can help you extend what is possible. Read the eBook here.